Perris City’s population grew from 36, 189 in 2000 to 68,386 in 2010. With the city’s population growth, the possibility of the accumulation of electronics equipment in every Perris home and office is undeniable. When this equipment reaches its end of life, these will have to be scheduled for disposal. But what do we do with our E-wastes? 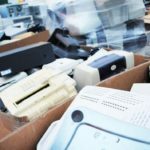 While most Americans know how to recycle newspaper, cans and bottles, there is not much that we know about e-waste recycling. Citrus Hill High School Band and Color Guard is organizing an electronics recycling collection event to help city residents address their e-waste concerns. Electronic waste disposal is a serious concern not just in Perris City but in the US in general. There are self-proclaimed e-wastes recyclers who go around the city to offer their services. But let us be wary in choosing who to call for our E-waste disposal needs. A study shows that dismantling discarded electronics can be very hazardous on the untrained recyclers. But we do not have to unnecessarily burden ourselves with these concerns. All you have to do is bring your e-trashes to our collection event and we will take care of the rest. Do you have old electronics cluttering up your attic or garage? Citrus Hill High School Band and Color Guard and All Green Electronics Recycling have teamed up to host an event to help you get rid of them responsibly–absolutely free of charge!